Feeling Creative? 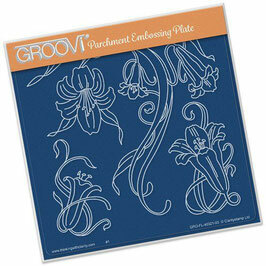 Groovi plates from Jayne Nestorenko and Maria Maidment - Matching stamps also available here. 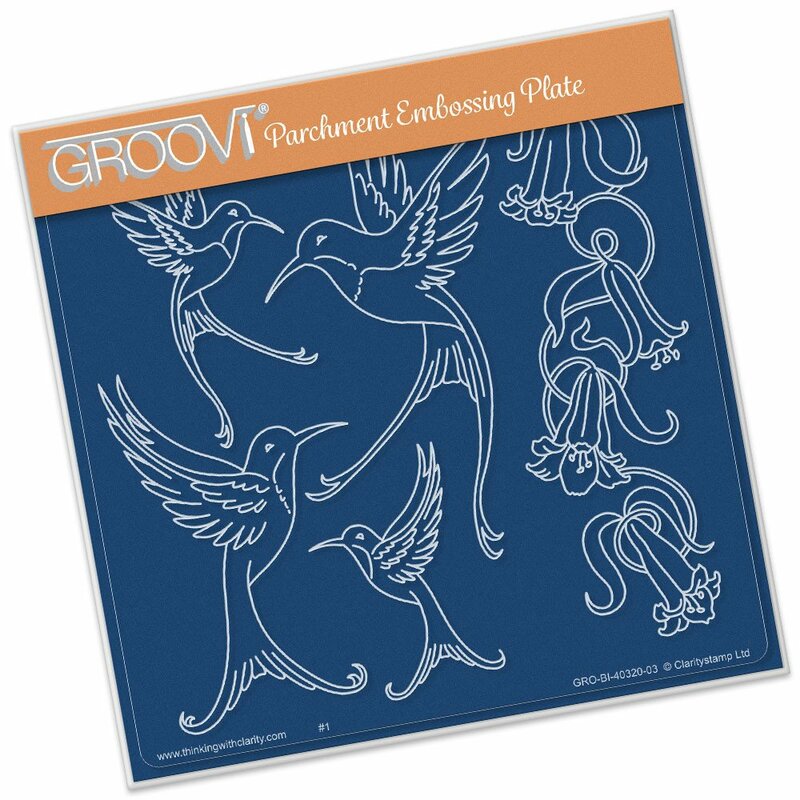 148mm x 148mm Groovi Plate Intricate and clever designs have been laser etched with precision into top quality acrylic plates, thereby allowing you to get in the groove with a specifically made-to-measure embossing tool, and effortlessly follow the design path through parchment. 148mm x 210mm Groovi Plate designed by Jayne Nestorenko. 105mm x 148mm Groovi Plate designed by Jayne Nestorenko. The Holly and Ivy Groovi Plate designed by Jayne Nestorenko, Dimensions: 148mm x 148mm. 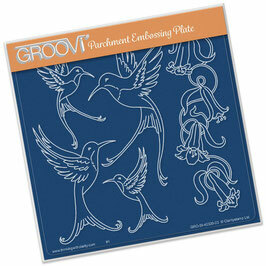 Jayne Nestorenko' s beautiful designs in a A4 Square size Groovi plate 210mm x 210mm Groovi Plates Intricate and clever designs have been laser etched with precision into top quality acrylic plates, thereby allowing you to get in the groove with a specifically made-to-measure embossing tool, and effortlessly follow the design path through parchment. Jayne Nestorenko's beautiful hummingbirds on this Groovi Plate with lots of component parts so that you can make a unique parchment craft card or project. Intricate and clever designs have been laser etched with precision into top quality acrylic plates, thereby allowing you to get in the groove with a specifically made-to-measure embossing tool, and effortlessly follow the design path through parchment. 148mm x 148mm. Jayne Nestorenko's beautiful artwork of fuchsias on this Groovi Plate with lots of component parts so that you can make a unique parchment craft card or project. Intricate and clever designs have been laser etched with precision into top quality acrylic plates, thereby allowing you to get in the groove with a specifically made-to-measure embossing tool, and effortlessly follow the design path through parchment. 148mm x 148mm. Jayne Nestorenko's beautiful artwork of fuchsia name plate butterfly and bird plus scrolls and bee on this Groovi Plate so that you can make a unique parchment craft card or project. Intricate and clever designs have been laser etched with precision into top quality acrylic plates, thereby allowing you to get in the groove with a specifically made-to-measure embossing tool, and effortlessly follow the design path through parchment. 148mm x 148mm. Jayne Nestorenko's beautiful artwork. Intricate and clever designs have been laser etched with precision into top quality acrylic plates, thereby allowing you to get in the groove with a specifically made-to-measure embossing tool, and effortlessly follow the design path through parchment.